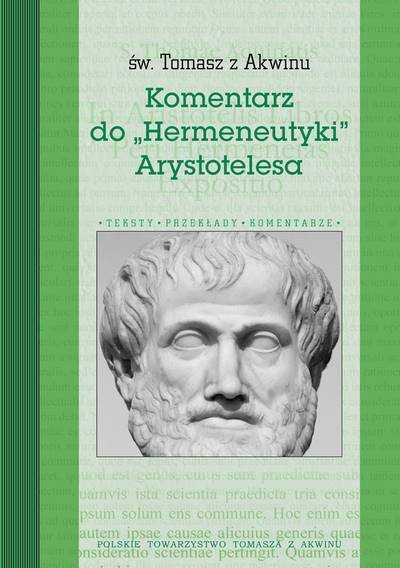 The book is published in the series "Texts-Translations-Commentaries". It covers developed treaty by St. Thomas Aquinas, and completed by Gaetano commentary to the Aristotle’s Treaty entitled “Hermeneutics”. Commentary on Hermeneutics refers to the language, name, nature of linguistic expressions, definitions, sentences and their division, etc. Thomas’ treaty in the field, it would seem, philosophy of language, its structure and functioning, takes however questions in the field of metaphysics of language: why and for what reason a language exist and what constitutes the language as such. Reflection on these questions shows the strict links between the language and not so much thinking, how much of the knowledge directed on the real existing reality, which determines its own structure both cognition and expressing it in language. This metaphysical perspective distinguished this title’s treaty in relation to the investigation of contemporary linguistics and philosophy of language. The publication contains the text of the first Polish translation and the Latin text of the Treaty, commentaries and explanations made by the translator, as well as index-glossary of key terms, and a bibliography.